I love surfing the internet finding out opinions and inspirations from other writers and blogs. I especially appreciate the articles that are all about being positive and loving yourself more. After a weekend of eating thanksgiving dinner a few more times than ideal, I think it is important to take a moment to appreciate yourself and your body. Sure, you may be feeling a little guilt from the extra food you ate the past couple days, but don’t sweat it. Well, actually this week literally sweat it off but for now take a moment to get inspired by these ‘5 Ways to Love Your Body More‘ from FabFitFun. Even if you don’t believe, keep telling yourself how great you are — because you’ll eventually believe it. Los Angeles-based SoulCycle instructor, Pixie Acia, is all about using self-affirmations to uplift herself when her mind goes to a negative space. “Whenever I start trippin’ about what I look like or get into self-deprecating internal dialogue, I have to remind myself to make light of it and not take everything so seriously.” So don’t be too hard on yourself, and instead, internally praise yourself whether it’s about your raise or your stylish outfit. 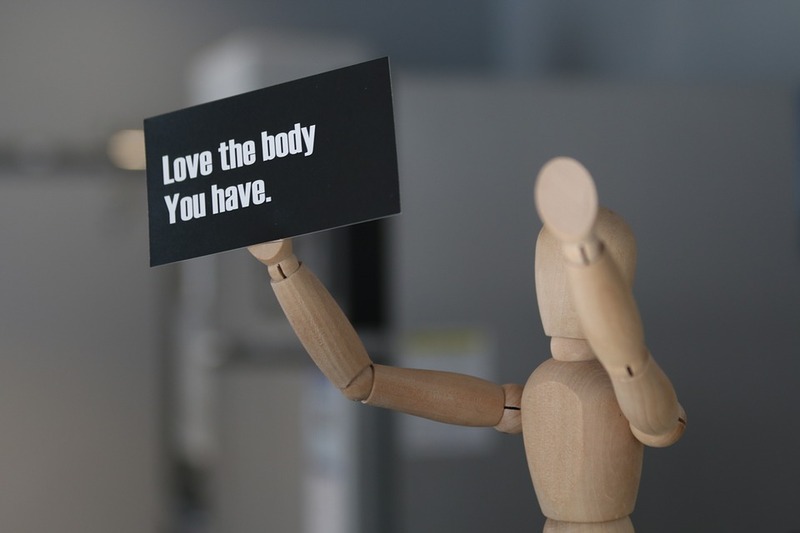 Write a list of all the things you love about your body. It can be physical attributes or things your body can do that you’re proud of. Keep the list handy and anytime you’re feeling down, pull out the list and read it out loud to remind yourself how great your body is. We’re not talking about just the exterior of your body — we’re talking about the interior,too. It’s true, though, that when the bacteria in your gut is balanced out, it can actually increase your happiness and overall well-being. Incorporate a probiotic supplement into your day or try one of Suja’s Drinking Vinegars. An added bonus to a healthy gut is better digestion, which helps cancel out excess gas and bloating. And that’s something that makes our body very happy. When you look at your body in the mirror, don’t think of all the things it can’t do, but what it can do. If your arms aren’t as thin as you’d like them to be, think about how strong your arms are and what it enables you to do. Being kind to your body is the first step to loving every inch of yourself. If you’re still holding onto those jeans that are a size too small, it’s time to ditch them. Go shopping for clothes that fit your body. It doesn’t matter what size the label says. Just make sure that you feel good in the clothes you wear!